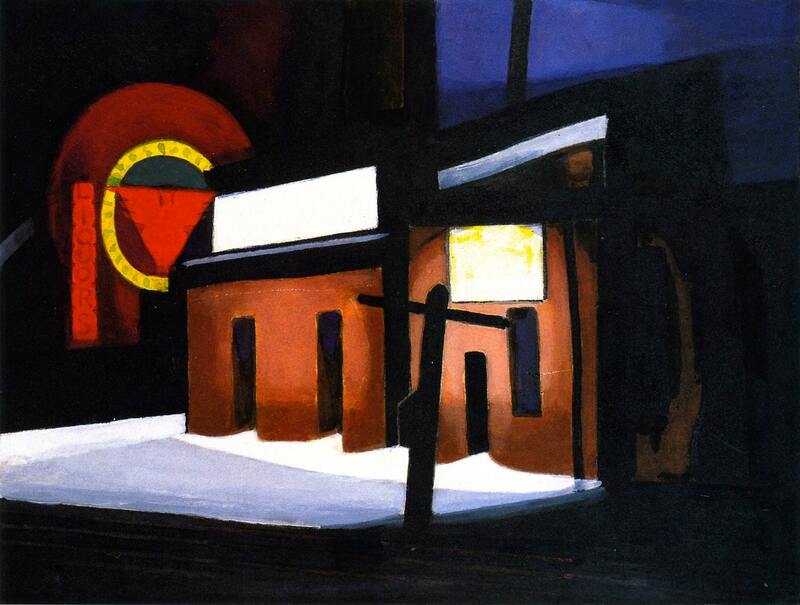 This is an incredibly vibrant Giclee art print of 'Roosevelt Laundry'' by American artist Oscar Bluemner, 1934. German-born American Modernist painter Oscar Bluemner combined realism and Cubism. His geometrically simplified buildings often have incandescent reds and blues set against rich opaque blacks, giving his work a stained-glass effect. His colour block style marries beautifully with the pigment-ink of Giclee printing. It's a great way to bring colour to a wall without getting the paint pot out.